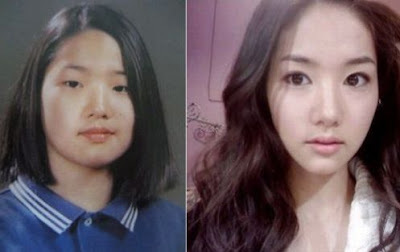 If you can remember, I've posted about Korean Idols' plastic surgery HERE. Truthfully, whenever I watch Korean Dramas, I've never thought that the lead actress was pretty. They just look OK to me and even worse sometimes I thought they looked ugly. Having watched Sunkyunkwan Scandal, I thought the lead actress was pretty, with her innocent look and not so dumb face (usually Korean lead actresses look like that you know). Her name is Park Min Young. 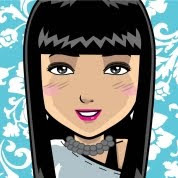 Looking at her, I know that is not her original look. I know she would have done something and it turns out to be true. Park Min Young even admitted herself. She stated, " I got double eyelid surgery in junior high school. My mom let me get it so I could become prettier. I also got my nose done, but that's only because my nose was crooked during junior high". All I can say is the plastic surgeon sure did a fantastic job!